dirtgirlworld` is about children discovering that putting nature first can be second nature. The show has an environmental focus, from exploring recycling and growing your own vegetables to discussing manure as essential to organic gardening and growing food. The programme is accompanied by a contemporary and exciting musical soundtrack. 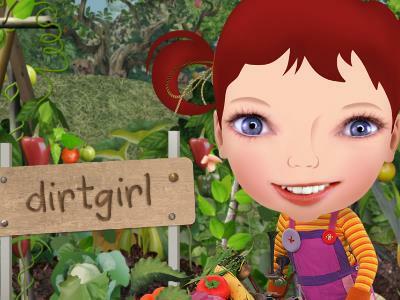 `dirtgirlworld` encourages children and parents to step outside and have a go! What Do you think about Dirt Girl World ?